BeyondD6 is now accepting Registrations for the Open Beta. Click the button below to register an account for Beta testing, after registering you'll be allowed to log in and use the system. 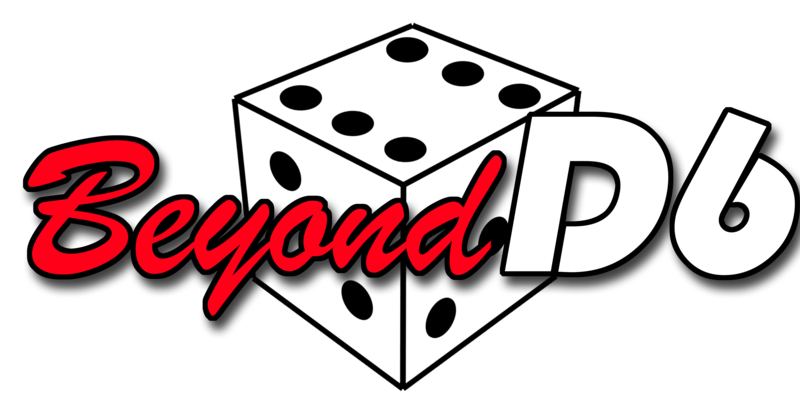 BeyondD6 is an online gaming system for the Star Wars D6 Role Playing Game by West End Games. It allows you to generate characters, spend experience, allocate equipment and even play these characters online. 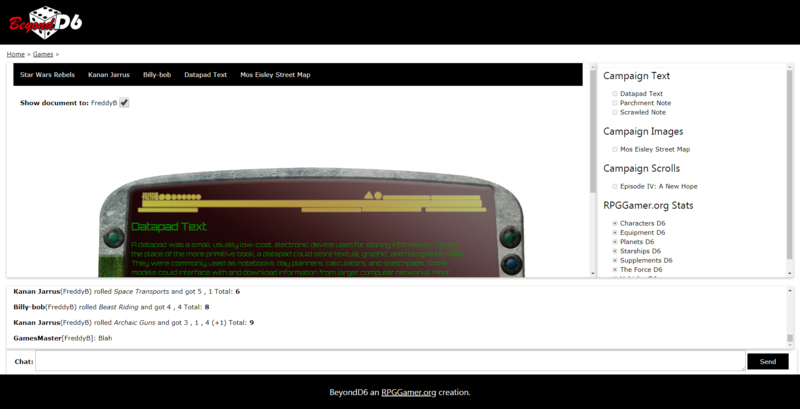 It provides tools for GamesMasters to create and share content and sculpt compelling stories using this game system. Access to more than 5000 stats and rules from RPGGamer.org within your games!